The Australian Dance Awards panel has announced that the Lifetime Achievement Award for 2016 will be presented to prominent West Australian Terri Charlesworth OAM CitWA. The panel has noted Terri’s initiative, dedication, generosity and passion have greatly influenced generations of Western Australian dancers. As well as being a dazzling performer, Terri has had outstanding success as a teacher and leader in dance education and training. Terri joined the West Australian Ballet for its inaugural 1953 season and was later appointed Assistant Artistic Director. Her career has included successfully representing Australia in the 1957 International Arts Competition in Moscow, establishing the renowned Terri Charlesworth Ballet School in Perth, introducing the Russian method to The Australian Ballet School, establishing the first three-year tertiary dance course in Western Australia, co-founding Western Australia’s first professional contemporary company Kinetikos in 1978, and the founding Artistic Director of Youth Ballet WA. 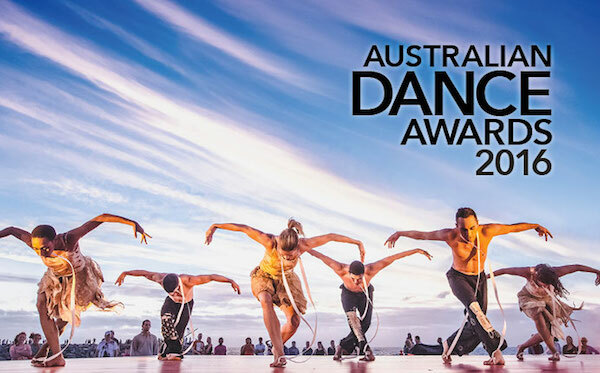 Presented by Ausdance and Harlequin Floors, the 2016 Australian Dance Awards will be held at The State Theatre Centre of Western Australia, Perth, Sunday 18 September at 6.30pm as part of the MoveMe Festival 2016. Tickets on sale now through Ticketek. To see the full list of short-listed nominees in each category, read DanceLife’s previous article here. Ausdance thanks presenting partner Harlequin Floors; Gaynor-Minden, Equity, AON Risk Services; and other partners. Ausdance is assisted by the Australian Government through the Australia Council, its arts funding and advisory body. For more information on Terri please visit this link. Tags: australian dance awards, Charlesworth Ballet School, Gaynor Minden, Harlequin Floors, Kinetikos, MoveMe, MoveMe Festival 2016, Paquita Farmer, Terri Charlesworth, west australian ballet, Youth Ballet WA.